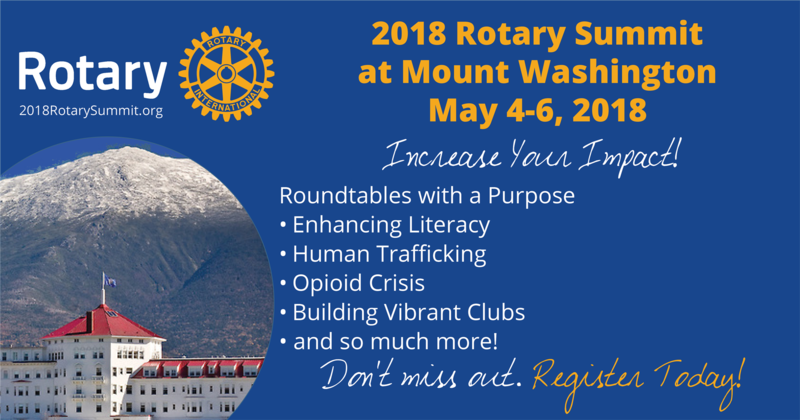 An event to remember - celebrate and plan your rotary future! 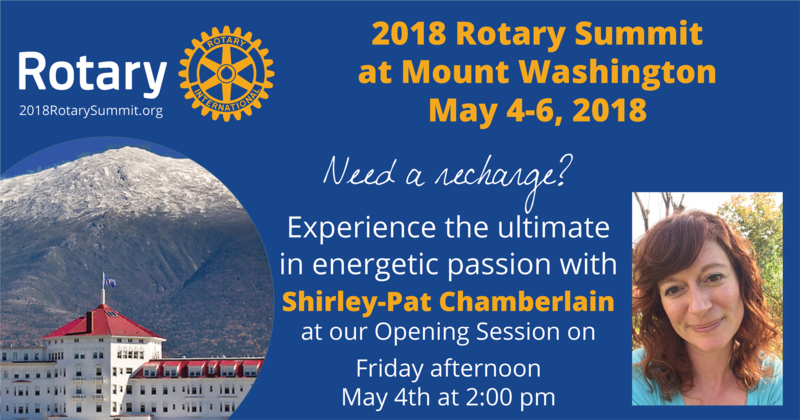 On the weekend of May 4-6, 2018 more than 500 Rotarians, family and friends will gather at the 2018 Rotary Summit at Mount Washington in a first-ever five-district event. 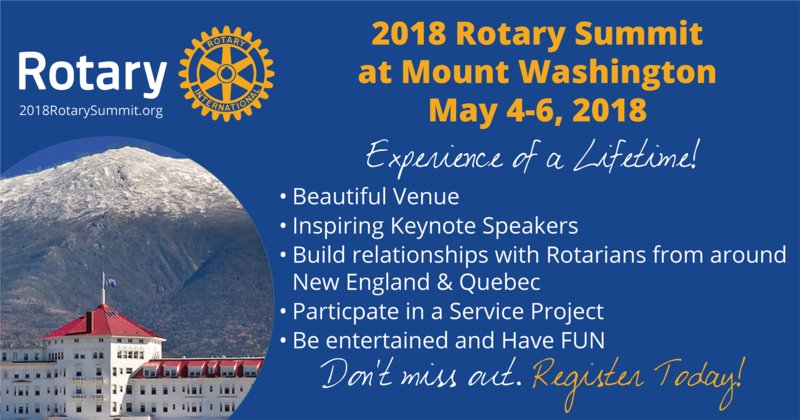 This historical venue is the perfect backdrop for the event as we celebrate the accomplishments of this year's Presidents from Maine, Massachusetts, New Hampshire, Vermont an Quebec and take time to reflect on our future Rotary service. 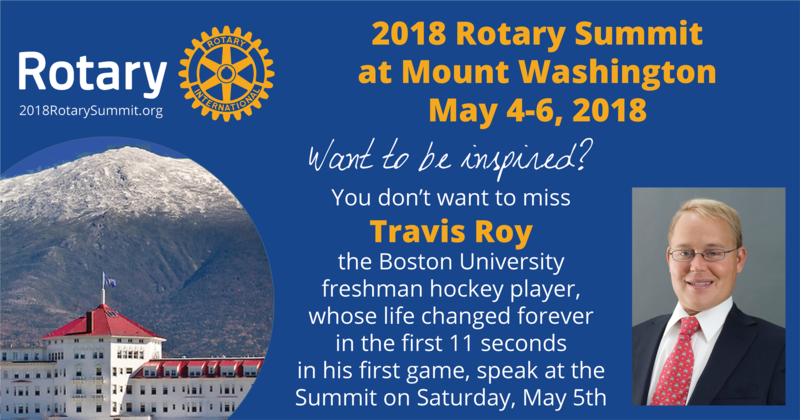 You will be amazed by our keynote speakers, from the President of Rotary International, to the effervescent Shirley-Pat Chamberlain, the determined Razia Jan, the inspirational Travis Roy. 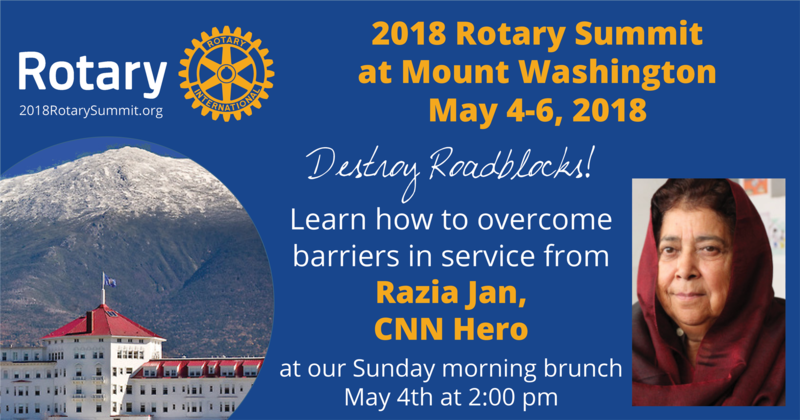 You will have multiple planned and random opportunities to interact with others who share your passions, can share their experiences on how to plan and implement service projects, build strong clubs, combat issues like drug addiction and so much more. 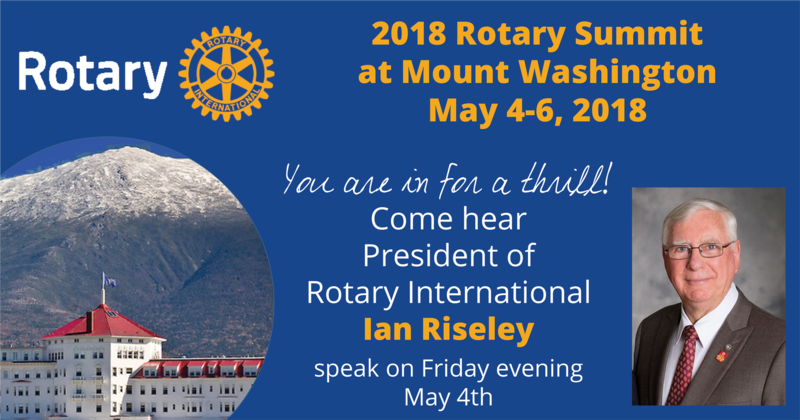 We already have almost 400 registrations spanning our five districts and expect between 500-600 total which will make this one of the biggest Rotary conferences ever in New England. 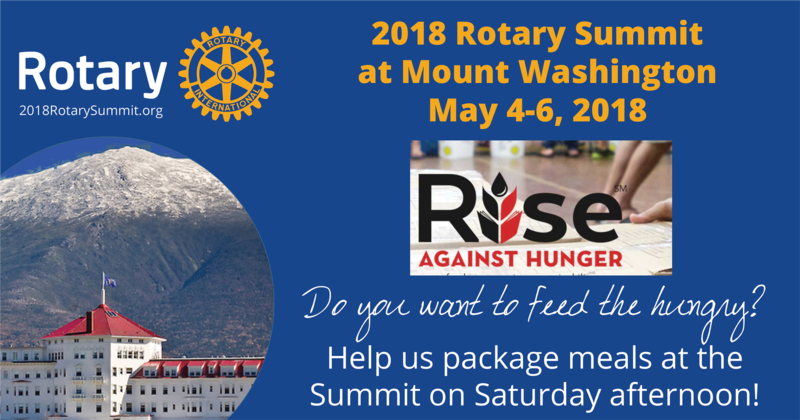 Register soon and guarantee your spot today.